My First Ironman. World Travel Chef. 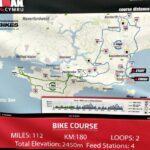 What made me think I could do an Ironman? 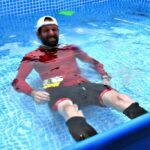 I had never completed nor attempted any of the three disciplines individually at full Iron Man distance. Yet here I was about to do the 3 together in one day. 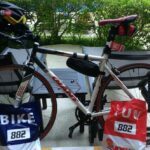 My first Ironman and only my fourth triathlon. Little wonder my wife thought I was mad! 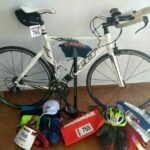 The Cairns Ironman was a new event that suddenly brought the sport to my doorstep, quite literally as the bike course actually passes my back fence. Never one to pass up an opportunity I entered. Anyone that knows Ironman knows they aren’t cheap to enter. In fact there is nothing cheap about them. The figure of $10,000 USD is kicked around as a ball park estimate of just how expensive that first Ironman is. Riding through Port Douglas during My First Ironman. Cairns Iron Man Bike Leg. Thanks to friends, the Dowells for the great photo! Luckily, I spent a fraction of that by economising at every turn, but I still held off telling my better half I’d signed up for over a month. I’m about to compete in my third Ironman event, Wales Iron Man in Tenby, so obviously I survived my first attempt! 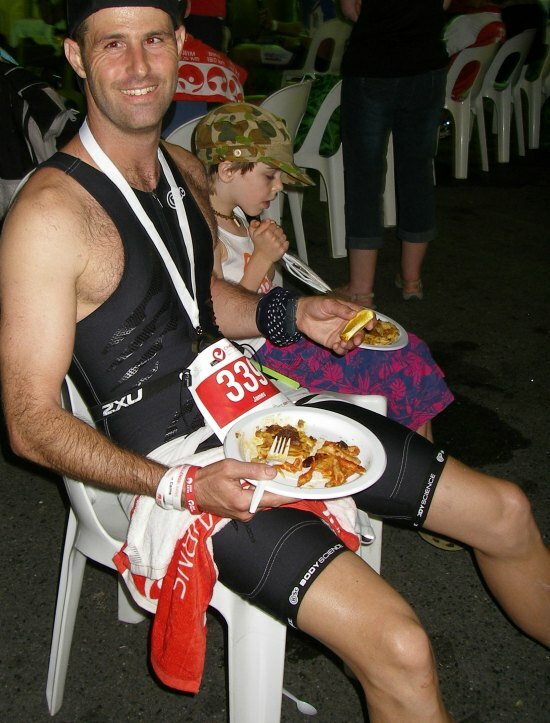 But lets go back to my first Iron Man race and relive the training, pain, suffering and joy. What is an Iron Man Triathlon? It’s surprising how many people don’t know. The day starts with a swim, followed by a bike ride, finishing with a run. There are no breaks or rests and no stops to eat or drink. We refuel as we go and if you need a toilet break it’s a problem. We change in 2 transitions, but mostly we just wear a tri suit for the whole event. The transition periods are against the clock too. It’s the longest, toughest, one-day endurance challenge in the world. 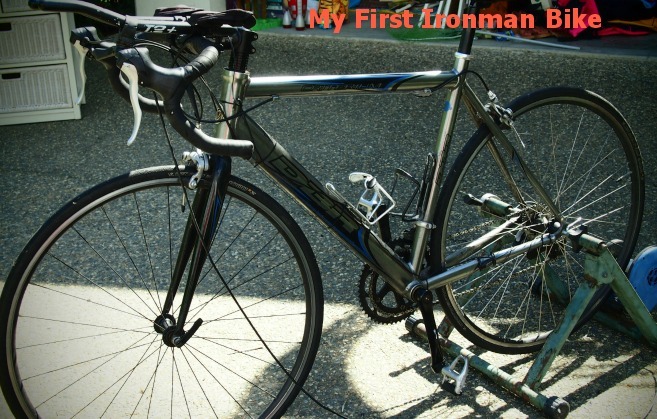 My First Ironman Bike. Like I said, I didn’t spend much ! Back then, based in Port Douglas the buzz around town was great, second only to that in Cairns where the race started and finished. They say that Ironman is a select group and with only 3 of us from Port Douglas registered to race, they were right. Race day would see only 2 of us even start. Training was clearly a huge part of this race, in fact I would spend over 390 hours (16.25 days), riding, running and swimming over the next 6.5 months. I was up early at 4:30 am to ride for hours at a time. As I mentioned, I kept my expenses as low as possible as we are a one income family, so up until the week before the race I still had clips on my pedals. After a particular tough 160km ride my feet were numb and I realized it was time to upgrade. I will never forget coming home after that ride. Still 20km short of race distance and without a warm up swim my wife asked, “And just how are you going to run a marathon after that?” A good point and one that I ignored perfectly ’till exactly 14:00 hours on race Day. Ignorance is bliss. Everyone wants to either give you advice or certify you insane but frankly neither help. What helped me immensely was a great friend lending me his Zip wheels and tri wetsuit. Both made the world of difference and I certainly couldn’t afford them on my own. My first Ironman was bringing the best out in people. We live 60km north of Cairns, where the race both started and finished. As such, I decided to grab a room down there for two nights before the event. This would mean I could check in and rack my bike without driving back up and down the highway. I picked a room that had a small kitchenette, allowing me to cook my own meals which kept me on track for the race. Of course being locked in a room for two days alone isn’t best for one’s mental health so for future events I’d rethink that plan. It would also save on the teary phone calls asking me to pull out before I killed myself. Nothing like a bit of belief. I resolved to try not to die on race day. Race day arrived and, of course, eating was essential but almost impossible. Friends picked me up as they came past the hotel at 4:35am, the temperature was 13c which, for the tropics, felt near freezing. By late afternoon the hot trade winds and scorching sun would be kicking in affecting everyone from pros to amateurs. Chaos reigned at the bike transition area as everyone did last minute checks. People had been planning this for 6 months, yet it seemed to this rookie that everything was left till the last minute. The Aboriginal opening ceremony started and looking across the crowd I made eye contact with non other than Chris ‘Macca” McCormack, current Kona world champion. Of course I should have said something intelligent and witty, after all he’s a great approachable guy even right before a race. As it was I just stared and stared which I think brought home the fact that I was racing against the world champ and giving him a 10 minute head start. I suppose rather like a weekend rugby club playing the All Blacks and giving them a bonus try. As I walked to the beach I laughed to myself and didn’t actually feel nervous. Please could you do me a favour, pin this to Pinterest, thanks! The gun went off and suddenly we were away. Remembering that I had sacrificed so many hours, lots of cash and used up all my brownie points with my family, I was suddenly getting a massive beating in the swim. I took a foot to the face and numerous arms and hands to the entire face and torso region. All that flashed through my mind was “What the hell am I doing here?”. As my heart rate spiked up over what felt like 200 bpm my goggles were pushed from my face. Putting them back on I was still pushed along at sub 2 minute 100ms. I cut the end of my big toe on the second lap as we ran around the small rocky outcrop, but it didn’t actually hurt so I could ignored it. Entering T1 I moved with what to me, felt a good bit of gusto and proceeded to get onto my bike and then put my shoes on while riding out of town. All without falling off in front of all the spectators. The bike leg was amazing and even though it took a bit over 5.5 hours seemed to last no more than minutes. Waving to the family as I rode past them each time was certainly a highlight. And did I mention just how good Zip wheels are? Earlier I mentioned that I would think about running at 1400 hours. Well the time came, as I hoped off the bike my legs were just a little softer than jelly. A lovely person took my bike for me and I did the T2 waddle into the tent to change for the run. I swapped tops, shoes and my socks. It was here I noticed how big the flap of skin was on my big toe. Pushing it back in place the sock held it nicely. Then suddenly (10 minutes actually) I was away and running. It actually felt pretty good and the first 22 kms swept past at the pace I was aiming for. The 3 long laps of Cairns were a different story and soon it became a game of just hanging in there. I did some walking, some running and some chatting with others matching my speed. As dusk fell we were given glow sticks to run with and we all helped each other alonb. I finished my first Ironman in 12.5 hours which was the race average and a mere 4.25 hours more than Macca. See, he didn’t need that 10 minute head start did he? Running across the line with my two boys was certainly a massive highlight, especially as this participation is no longer allowed. It’s a great feeling when you’ve completed your first Ironman race. Returning home Alyson cracked open a beer for me as I collapsed on the sofa. My stomach was beyond empty and surely beer would fix that. I casually mentioned that I had cut my toe and perhaps it needed looking at, to which Alyson replied ” It can’t be that bad if you rode 180km then ran a marathon can it.”. When she actually saw it and my sock full of blood , she gasped , yes it would need looking at and how on Earth did I manage on that toe? Honestly I couldn’t feel it but every other muscle in my body was making up for it. So I did do my first Ironman and I must say that ignorance is bliss sometimes. While I know I would go faster if I did another I would also know the pain that would come with it. Not just physical but the emotional input that is part and parcel of competing the toughest one day event in the world. 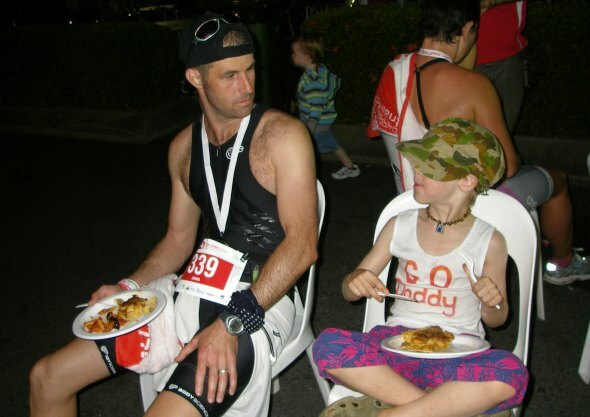 That first Ironman was long before we started our nomadic travel adventure, we’ve spent the last few years on the road as a family ( see where have we been? 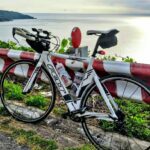 here) I’ve always kept up the training, be it running up mountains in the Himalayas or cycling in the Balkans, Wales Iron Man is just a few weeks away. Stick around to see how that turns out. 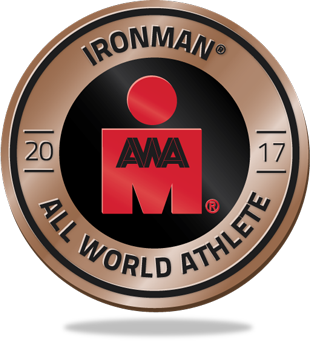 Any Ironman related questions here? The comments section is below. Loved this reminder of your Cairns outing! Hi Mum, at least I got a comment, even if it is my mum. LOL. Nobody comments it’s depressing.not long to go now until the next ironman. How’s training going for the next one?? I can’t believe you did all that with an injured toe! I didn’t know what an Iron Man Triathlon is before going through your post . Describing about your effort and endurance makes this a great post. And seriously wonder how you managed to do complete with an injured toe. Kudos! !